We are delighted to announce some enhancements to our DC Annual Benefit Statements. 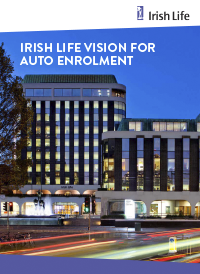 From April 2019 our benefit statement is being changed to a reader friendly A5 booklet format. 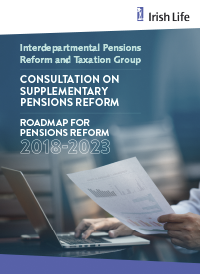 Last December we announced changes we were making to our core PLS offering on our Defined Contribution) DC, (Personal Retirement Savings Account) PRSA and Personal Retirement Bonds (PRB) products. The changes outlined were implemented at the 1 April 2019. Simon Carswell on why we may never see a report on the collapse of Sean FitzPatrick's trial and much more. Laura Slattery has the best business news of the week including Mark Zuckerberg's Dublin visit, also Colm Keena speaks about the long battle between the Quinns and IBRC. Eoin Burke-Kennedy has details of a report by the UK's Office for National Statistics, showing waiters and shelf stackers are the most likely to be replaced by robots. Also Peter Hamilton speaks about PwC's review of Datalex's accounts. 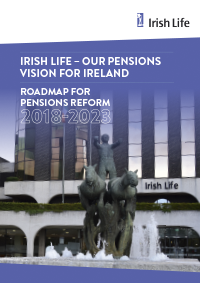 Irish Life recently responded to a series of the consultation papers on pensions setting out our vision for a new retirement landscape for Ireland. Please see each of the documents to find out more about each topic and Irish Life’s positions. Peter Hamilton is here with a roundup of business news and potential buyers of Coppers. Also Fiona Reddan speaks about the financial advantages of getting married. Mark Paul talks about his recent travels to Birmingham where he spoke to local business owners about their views on Brexit. Also Peter Hamilton has a roundup of some of the week's other stories like the grounding and the Boeing 737 Max 8. Peter Hamilton has a roundup of business news including Paddy Power/Betfair's new name. also Mark Paul speaks about the strange timing of a new beverage launch in the Irish Market.